So, I thought I use the Beatz & Carrots One Year Anniversary as an excuse to share some of the older Beatz & Carrots compilations I did before I started this blog. 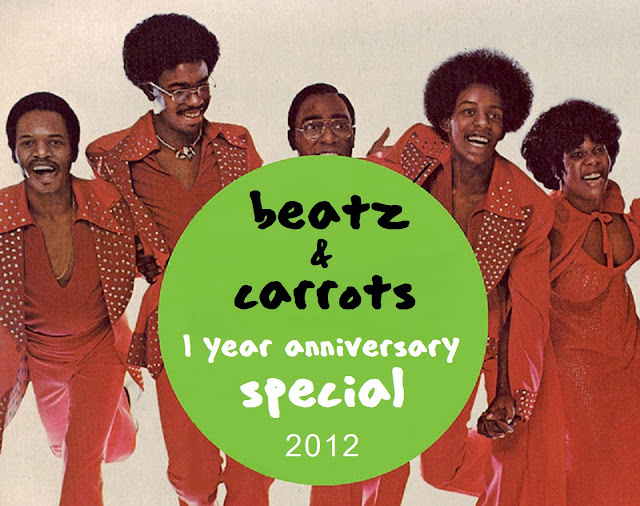 Altogether four Beatz & Carrots ''Anniversary Specials'' which I will be posting over the following days. Enjoy & leave some feedback if there is any music your particularly enjoy! I hope you stay around for at least another 99 years of excellent music!! Lawng dayes of the bestest. 'Ave a great one, brah. Happy birthday mate, keep on keepin' on! Truly a unique and awesome experience here at B&C !!! many more ! Any chance to ear it again ... ? Any chance of re-upping this, sir? Great site!